Turn talk into text and control your PC with the world's best-selling speech recognition software. Dictate documents, send email, search the web, and more - 3x faster than typing. Dragon v15 introduces a next-generation speech engine leveraging Deep Learning technology and adaptation techniques that continuously adjust to your voice or environmental variations. The result? Up to 99% accuracy and major time savings from the word go. You'll love it. Put your voice to work and create more time in your day for what's important. Create documents and reports quickly and with razor-sharp accuracy, and zip through computer tasks in record time—all by voice. Work more efficiently with powerful customizations like the ability to create custom commands and custom words so industry-specific terminology is typed correctly every time. Dictate into a digital voice recorder and Dragon will automatically transcribe the recordings when you connect to your desktop. Fast and accurate. Be even more productive on the go. 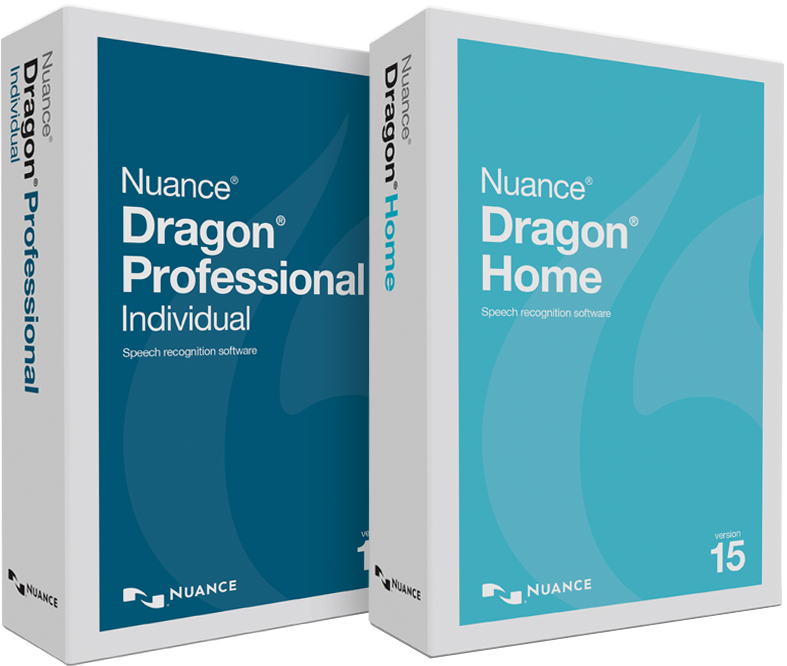 Enjoy full integration with Dragon Anywhere, Nuance's subscription-based mobile dictation solution, to create and edit documents of any length by voice directly on your iOS or Android device. Simply speak homework assignments, emails, family history and more and watch your words appear on screen 3x faster than typing. Use your voice to search for recipes, information, directions and more on the Web using Internet Explorer®, Mozilla Firefox® or Google Chrome™. Keep up with your inbox and calendar. Use your voice to email friends and family or manage kids' activities, social engagements and other appointments in your calendar with voice commands like "Create a new all-day event." Stay connected through social and chat. Update your Facebook and Twitter without touching the keyboard, using commands like "Post to Facebook 'I'm hungry. Anyone up for that new Italian place?'" Choose the Dragon Solution That Works Best for You and Your Unique Requirements.